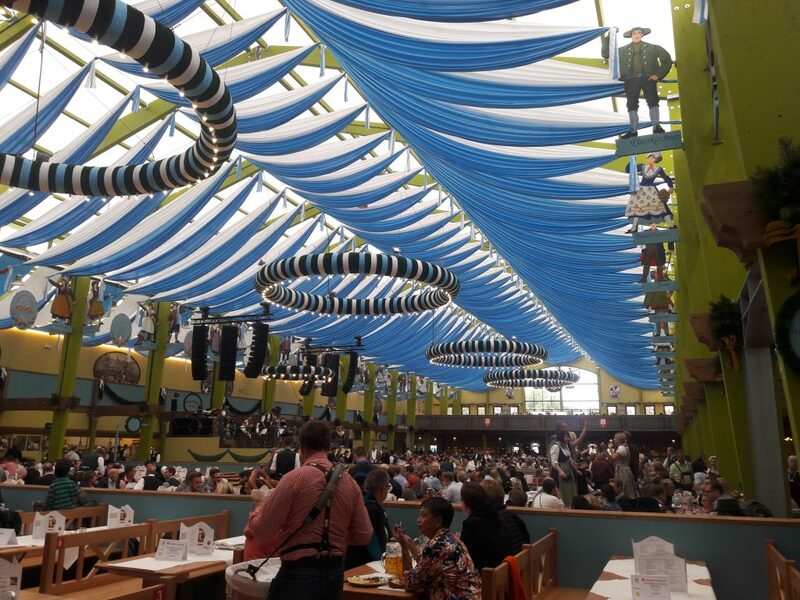 Then again, the Wiesn hasn’t felt too crowded this year. While 2016’s ghostly/pleasant emptiness (depending on your point of view) has not repeated itself, it’s still possible to get spaces in big tents quite late in the day, even without reservations. Having said that, over the weekend especially, you have to plan well and head in early if you want a good spot. 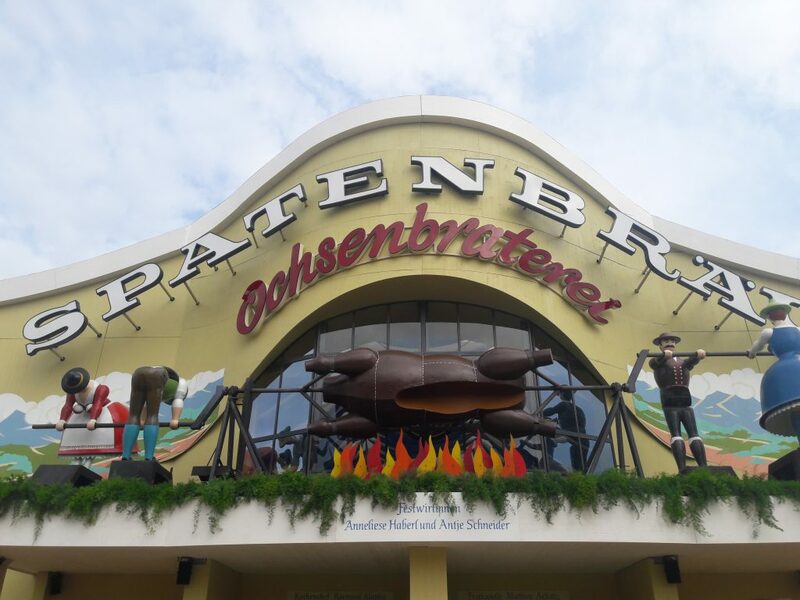 So this year, the Ochsenbraterei had a make-over – not that you’d notice. We were surprised by just how much like the old tent the new one looks. All of the key design elements (especially the trashy spit-roast model) are still there, but they’ve tidied it up a bit and given it a slightly simpler appearance. 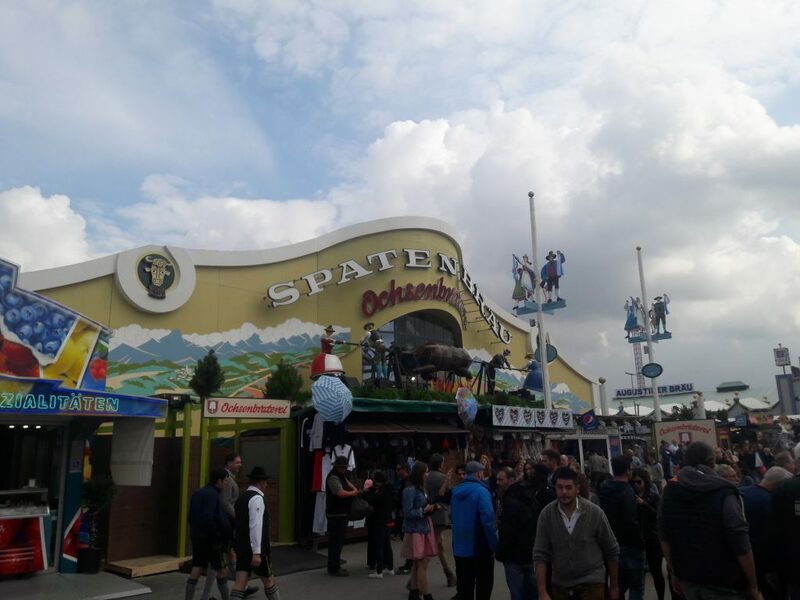 Nevertheless, this is no big refit like with Schützenfestzelt two years back. The interior is a bit airier and a bit brighter, but that’s about it really. Having said that: why change a winning formula, right? This is one tent where nothing has changed in recent years – and that’s how we like it. We often end up here because it has something almost no other tent does: a sense of moderation. 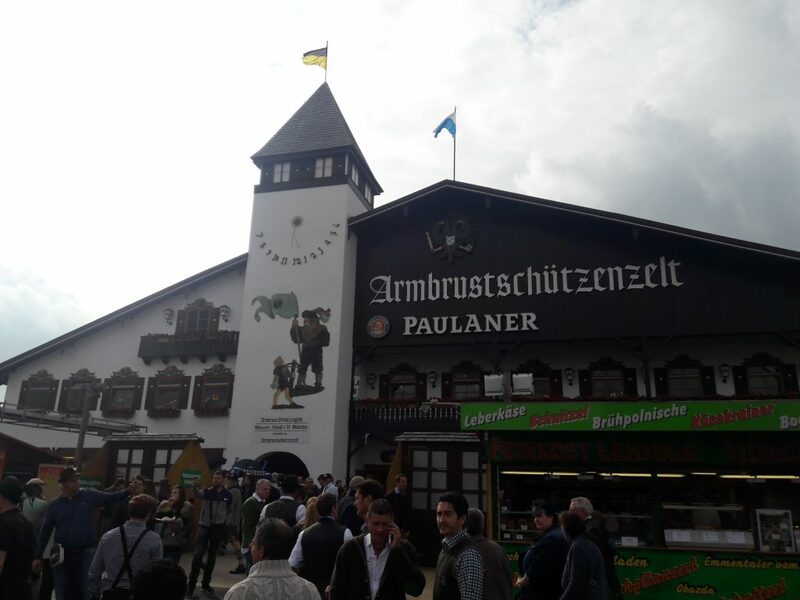 You can always have a bit of a party here, but it’s not overrun with teenagers like Schottenhamel; and although it wears its traditions on its sleeve (the name means “The Crossbowmen’s Tent” and they still have archery competitions out back), it’s not crusty or sleepy in the way that Bräurosl or Winzerer Fähndl can be. In other words, it’s an all-rounder. 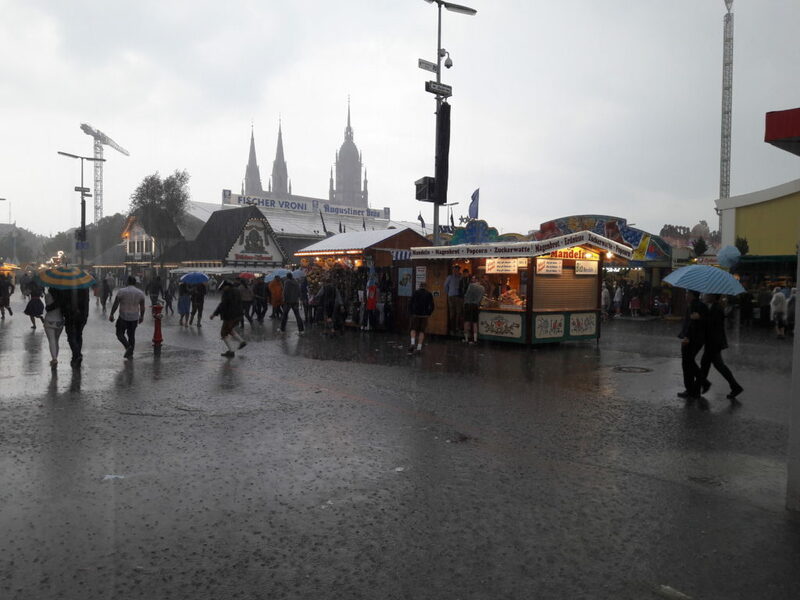 You can still get a good seat at around 4pm on weekdays, have a bite to eat and watch some traditional whip-cracking (Goaßlschnalzen), before getting up on the benches and going for the gusto. What more do you want? 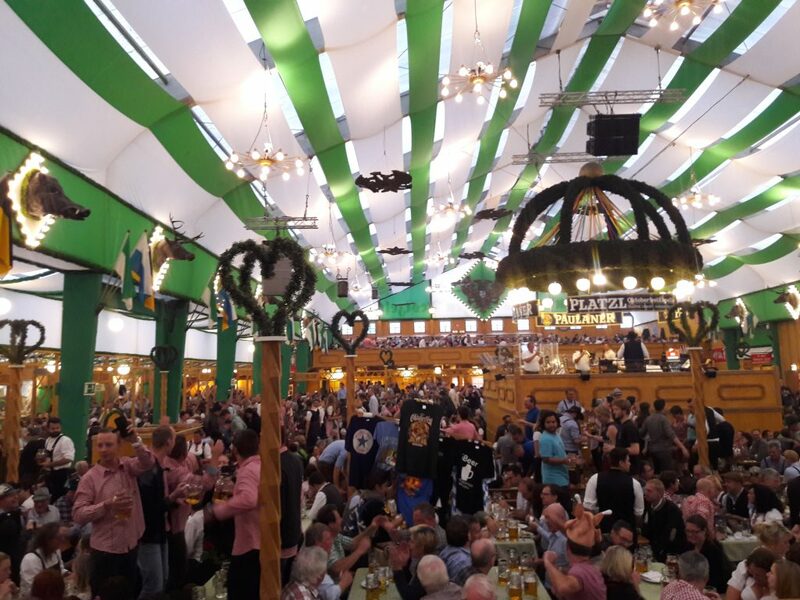 At the Oktoberfest 2017, we’ve enjoyed it more than any other tent thus far. 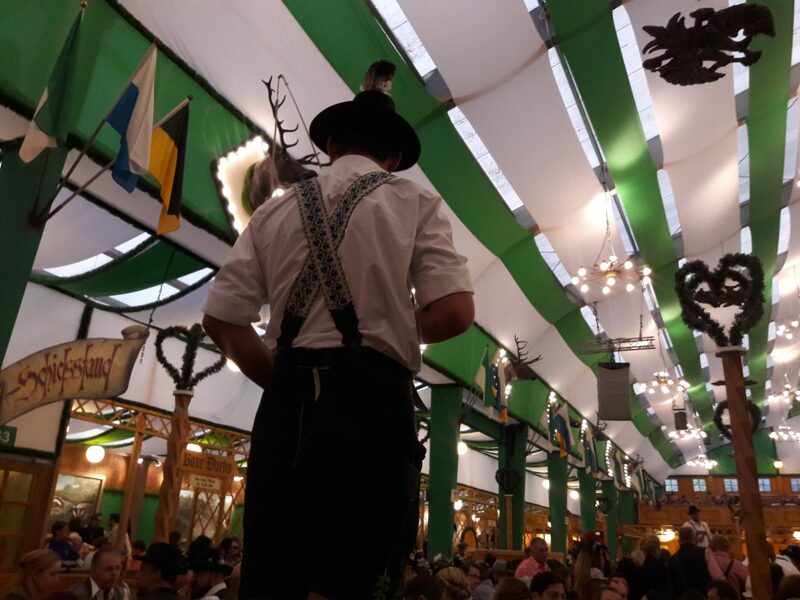 If there’s one tent we truly love, it’s Schichtl. 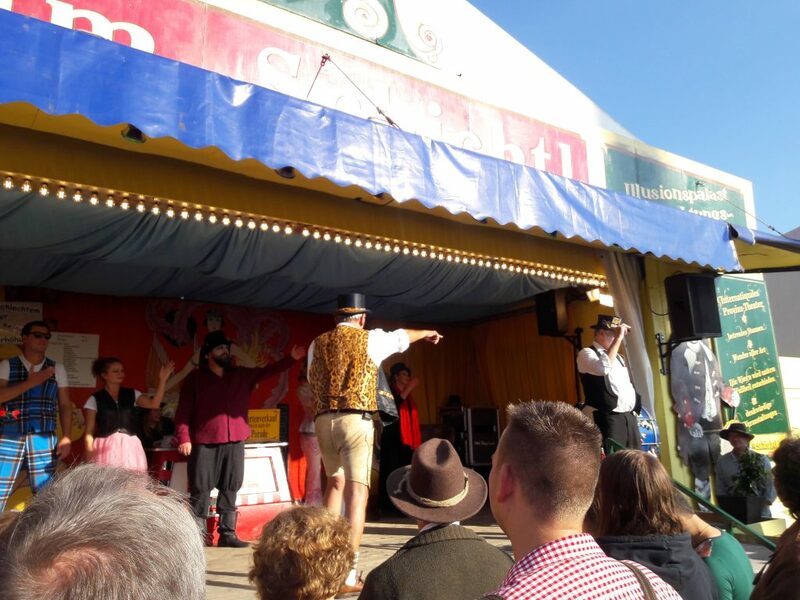 A throwback to the days when the Oktoberfest had plenty of traditional circus and fairground amusements, it offers an hourly clown and magic show in the old style (with a gruesome beheading!) 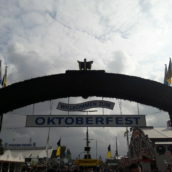 and, conveniently, has a cute little beer tent right next to it. 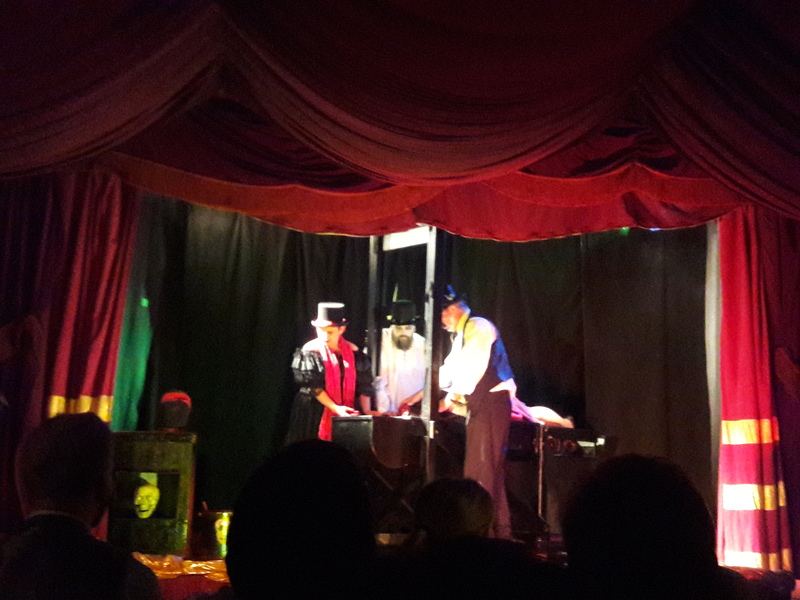 If you don’t speak German – or , more specifically, Bavarian – many of the jokes will go over your head, but it’s worth seeing a show there just to get a feel for it (and it only costs 5€). 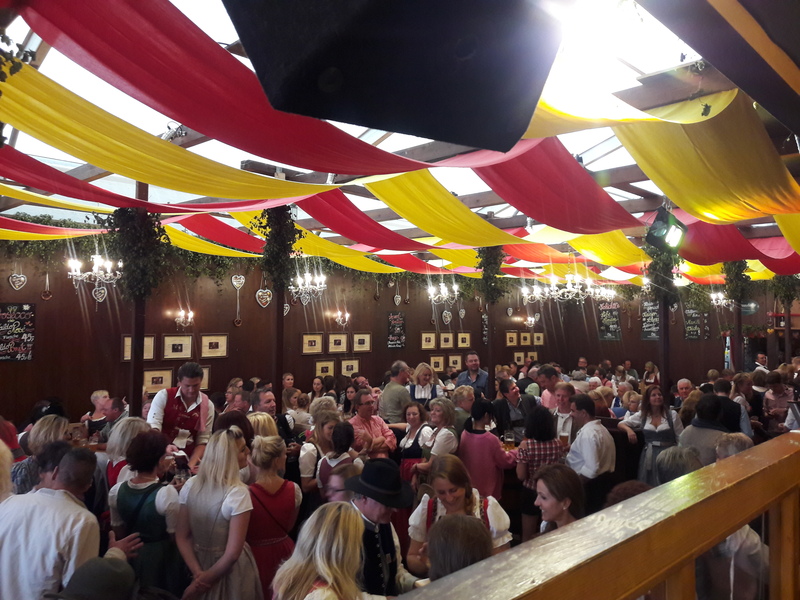 Afterwards, head nextdoor for a beer; if the tent is full, we can recommend the nearby Familien-Platzl beer garden, too.